More than 30 children died last year from heat stroke, kidsandcars.org reports. Vehicular heat stroke is a common cause of heat-related deaths with children and dogs, according to kidsandcars.org. Even with cracked windows or parking in the shade, the car’s temperature can drastically increase in a short amount of time. And, children and pets — although more prone to heatstroke —are not the only victims. Along with the warmer weather comes higher risks for heat exhaustion and heat stroke, according to webmd.com. Drinking plenty of fluids and staying hydrated is one way to help avoid heat stroke. Sweating helps keep body temperature down, but without being hydrated, the body cannot produce enough sweat to keep cool, Mayoclinic.org suggests. Psychology major Deisy Jaquez said fluids help her deal with the heat. Wearing loose fitting and lightweight clothing also can help you stay cool during the hot days, according to mayoclinic.org. Too tight or excess clothing affects the body by not allowing it to cool properly. Wearing fewer clothes leaves a larger amount of skin exposed to be damaged by the sun. The website reports that wide hats and sunglasses also are ways to help prevent over exposure along with sunscreen having an SPF of at least 15. Sunscreen should be applied at least every two hours, or more, when swimming. Mayo Clinic advises staying in air cooled places to help avoid heat stroke. Nursing major Fatema Abdul and her sister Zaina Abdul said they try to stay inside as much as possible. Although summer sports and outdoor activities claim many victims of heat stroke, Mayo Clinic reports that by taking precautions, the probability of too much heat exposure can be decreased. Take it easy during the hottest parts of the day with cooling breaks and enough fluids. Become acclimated to the heat by partaking in activities during the cooler parts of the day and limiting time spent in the heat. Those who are not acclimated have a higher chance of heat stroke. 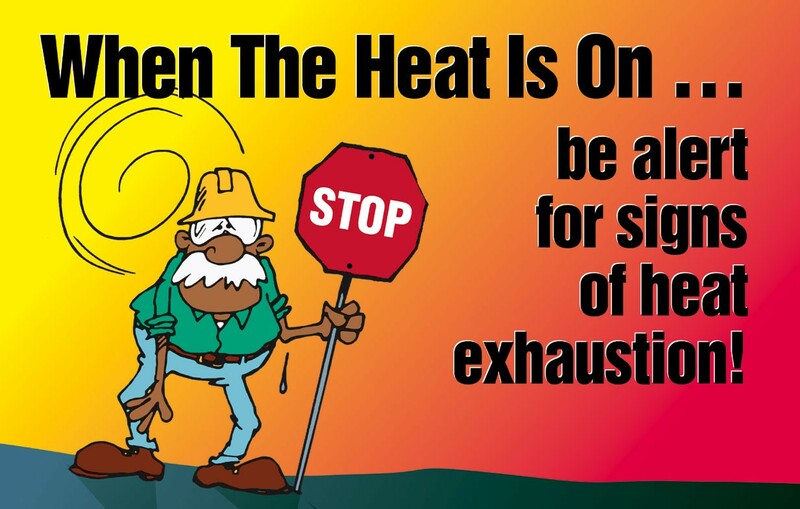 Knowing the symptoms of heat stroke also is important. Webmd.com lists the most common signs being confusion, dark-colored urine, dizziness, fainting, headache, cramps and nausea. Heat stroke is a medical emergency. Seek medical help if any of the symptoms are present. For more information about staying safe in hot weather, visit webmd.com, mayoclinic.or and kidsandcars.org.